The album title translates to Nothing New Under the Sun. 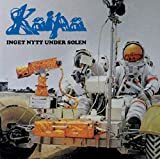 Inget Nytt Under Solen is the only album I have heard by KAIPA and after a few listens I was a fan. The music would best be described as jazz influenced symphonic prog and there are many beautiful melodies as well as great riffs/progressions. Roine Stolt on guitars produces some fantastic music here, it's mostly lead guitar work but it's very exciting, at times it's anthemic, at times triumphant, at times sombre and it times it's a freakout but it's always very interesting and engaging there is some great harmonised guitar work here too which was very intriguing (unfortunately unable to be reproduced on the live bonus tracks). 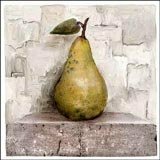 Hans Lundin on synths and keys is the meat and potatoes of this recording his various synths are almost always present throughout the music and more often than not they are a focal point of the music, his performance here shines. To be honest the rythmn section isn't very noticable or prevalent but they are certainly competent and hold the band together well. The vocals are all in swedish (except the bonus live versions where they are in english) and are often fairly sparse but they are fairly good in their own right, I actually like the swedish sung versions better. The 21 minute 44 second 'skenet bedrar' is the gem of this album and like all good prog epics it portrays recurring musical motifs in new and exciting ways and it navigates through much different emotional and atmospheric territory with great results. 'Inget nytt under solen' the title track is another fantastic song staring off upbeat and then falling into a meandering, spacey, sombre atmosphere - a very well written piece. Unfortunately there are some very weak songs on this album 'omsun sken', 'stengrodornas parad' and 'dagens port' all seem like filler to me and nothing much really happens there which is what prevented me from giving this album 5 stars. The live tracks almost make up for it though. Overall an album well worth investigating for fans of symphonic and scandanvian prog, similar to bands such as ANGLAGARD and ATLAS. I was totally charmed by KAIPA's debut, and when I came across their second album - which has even better rating here - of course I had to buy it. Were my expectations too high? Maybe so. Though it's not a bad album in any sense, I feel a bit disappointed and don't listen to it too often. Whereas the debut had a sort of naiive innocence and somehow very Scandinavian feel to it, this one tastes like they took their progressiveness too ambitiously. They tried too hard. I'm not surprised to read from the leaflet that indeed the second album was harder to make. Even the title ("Nothing New Under the Sun") refers to the lack of inspiration on the way. The five-part opener 'Skenet bedrar' is a good example of prog ambition taking over the natural beauty of music (which happens, IMO, very often with Flower Kings, the other band of Roine Stolt). Some of the shorter tracks are pretty good, and the undoubted talent of these players shines all over the album. But something is absent and I can't put my finger on it. The music doesn't fill me with joy like the debut. The CD contains a lot of bonuses, but in fact it's mostly the main album tracks recycled: some are sung in English and 'Skenet bedrar' is played live. In the end those bonuses are not much worth. Anyway, I'd be glad to come across more KAIPA albums even if this one wasn't up to my expectations. Symphonic prog in all its splendour. This is what "Kaipa" delivered with this album. While this band is mostly regarded because of Roine Stolt, one has to know that his role is much less dominant here than within TFK. Nonetheless, the filiation is there already, well ahead the genesis of the band. So, yes: "Kaipa" has had a major influence on TFK's music. But when released, this album should have been quite a surprise! Unfortunately, these type of records didn't reach continental Europe (as far as I know), and the recognition of the band came much, much later. 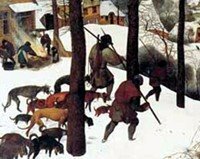 There are some great songs, with wonderful instrumental passages like "Korstag". An emotional track almost wholly dedicated to the guitar of Roine. And the epic "Skenet Bedrar" is also of excellent quality. Not boring at all through these twenty-one minutes. High technicality, enjoyable melodies. Another highlight. Unfortunately, this album also has its weaknesses. The useless "Stengrodornas Parad" for instance or the average "Omsun Sken". But these are only short parts and the damage is not too important. Vocals are a little weak IMO; and it has nothing to do with the Swedish language. The title track is obviously a good illustration of this aspect. I prefer the melodic voice of Roine when he has a leading role (like within TFK). 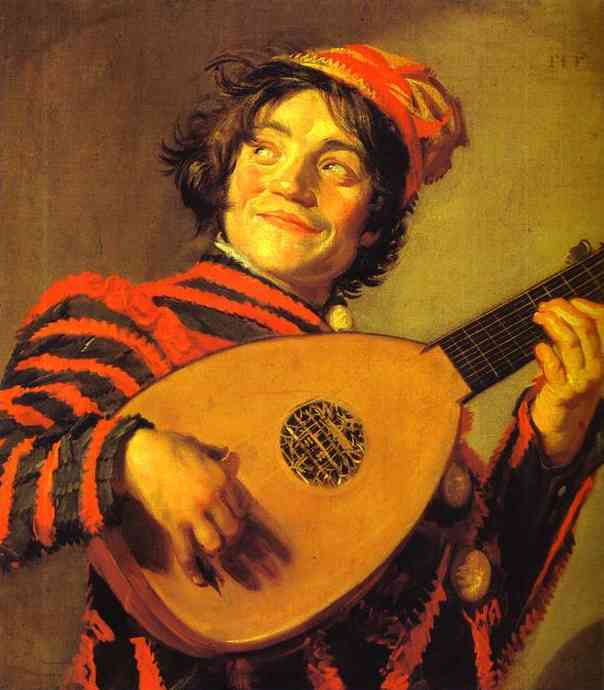 With "Kaipa", his singing was very limited but he was shining on the guitar ("Inget Nytt Under Solen"). I'm quite hesitant to rate this album. Three stars seem not enough and four are too much. But the decision is easier thanks to the bonus tracks which are much more than fillers. "Awakening-Bitterness" for instance is again another great melodic moment (sung in English). Surprisingly, vocals during "How Might I Say." are quite good, emotional and again in English. Even the short "Gate Of Day" has its own merit (mainly guitar work.). The work of Roine still needs to be mentioned. He is again the one who lifts a song like "Blow Hard." from average to good. There is also a shorter (live) version of their epic and opening number "Skenet Bedrar". Impressive but very delicate at the same time. Some might argue that to cut it by seven minutes was not the best treatment, but it doesn't shock me that much. It is always nice to get a bonus of this quality. Apparently Kaipa were a quite late entry in the prog world, but this fact did not prevent them from becoming succesful in Sweden.During the spring of 76' they launched a great gig tour for promoting their debut album, which surprisingly exceeded the 10,000 mark of sold copies.They also introduced to the public a pair of new songs written for a second album, while Ingemar Bergman used costumes on stage, making the GENESIS comparisons even more evident.At the end of June 76' Kaipa revisited the Marcus Music Studios in Stockholm and recorded ''Inget nytt under solen'', their sophomore effort, through a 10-day schedule.The album was eventually released during the autumn of the same year. ''Inget nytt under solen'' contains one of the best prog epics ever to be written by a Scandinavian band, the almost 22-min. long ''Skenet bedrar'', maybe the Swedish answer to GENESIS' ''Supper's ready'', an absolutely highlight of Kaipa's repertoire and a symphonic piece of untold beauty.Stolt's guitar touch is unmistakable, deeply emotional and extremely melodic, mixing with a great rhythm section, dramatic Swedish vocals and Lundin's majestic keyboard parts, very Classical-influenced, with sharp moog synth flights, dreamy organ and haunting Mellotron passages and delicate piano lines.At the end of the day it feels like ANDY LATIMER has joined GENESIS with STEVE HACKETT in the background.Beautiful and sensitive Symphonic Rock with great variations and extremely solid melodies.On the second side of the original issue, the inspiration is still there, it is just divided in shorter pieces.GENESIS, CAMEL and FOCUS remain the biggest influences of the group, although some Scandinavian flavor is evident through the vocals and a few Folk-tinged textures.The emotions created by the masterful keyboards of Lundin and Stolt's guitar playing are hard to explain.Virtuosic but also melodious music with symphonic tendencies, nice interplays and unique climates unfold a fairytale atmosphere of smooth Progressive Rock with hardly any flaws...except maybe the strong GENESIS vibes. Failing to meet any international success and having realized that the Swedish lyrics were hard to swallow for the worldwide public, Kaipa started a brief stint with singer Lars Hoflund, who had a great, non-accented voice.Lyrics were translated by American student Kevin Fickling and thus four tracks were recorded in its English versions.These pieces along with a live performance of ''Skenet bedrar'' are available in the CD reissue of Musea Records.Success though never knocked the door of the group, as these tracks were sent to England, soon to be rejected by Electra's British department, which never believed the group could be succesful. Do yourself a favor and grab this album immediately.Masterful Swedish Symphonic Rock with amazing guitar solos and ethereal keyboards of the greatest quality.Maybe too much GENESIS-influenced, but again, if this album was produced by GENESIS, we would be talking about a masterpiece.Not to be missed...4.5 stars upgraded. After an impressive debut album, I found this one to be disappointing. Sure, there are some good songs. The opening epic, Skenet Bedrar, despite some annoying shouted vocals, is great, as is the live version tacked on at the end. But my problem with the album is the apparent straining to sound like Genesis. In too many songs keyboardist Hans Lundin sounds like he's trying to imitate Tony Banks' arpeggios. On Awakening / Bitterness, the vocals simulate Peter Gabriel's or Phil Collins' (take your pick) thin, buzzy vocals. On the first album, this band proved that they were better than that. They should have stuck with creating their own style. Looks like i'm not the only one on this site who feels the debut is better than this the more popular follow-up. After the success of the debut they bought a mellotron (yay) and some better instruments then played some live gigs before recording "Inget Nytt Under Solen".There is mellotron on three of the six tracks. "Skenet Bedrar" is a side long suite at close to 22 minutes. It's the kind of track that doesn't really grab you right away but I think it is a success. Faint spacey sounds to start that begin to build some.Vocals before 3 minutes as it continues to be laid back. A GENESIS flavour before 7 minutes as the organ pulsates. Nice chunky bass to follow as the guitar solos over top. It then settles back down before picking back up after 10 minutes. Some in your face vocals from the drummer follows with piano.The tempo picks up before 13 minutes with fat bass lines and more. Reserved vocals before 14 minutes as it calms right down. A calm with deep spoken words 19 1/2 minutes in brings the song to an end. "Omson Sken" opens with keyboards and atmosphere. Reserved vocals after a minute. A calm with vibes only ends it. "Korstag" features prominant bass and keyboards. Mellotron too. Just a great sounding instrumental. "Stengrodornas Parad" is a short humerous tune with a circus vibe. "Dagens Port" opens with reserved vocals and piano. It picks up with synths, then the vocals and piano return but it's a lot fuller than the intro. "Inget Nytt Under Solen" sounds excellent with passionate vocals. Huge bass lines when the vocals stop.The tempo picks up too. It settles right back down 2 1/2 minutes in with reserved vocals. When the vocals stop the guitar comes in leading the way tastefully. Nice. A good album that I thought would be better. Still I can't give it less than 4 stars. After really enjoying 2010's "In the Wake of Evolution" I decided to investigate this band further and this looked like a good place to start. Featuring a young Roine Stolt on guitar this early lineup shares just one member still with the band today, keyboardist Hans Lundin. The Good: Skenet Bedrar has some really great moments, especially towards the end. The Bad: Those moments are too few and far between, like musical oasises in a twenty minutes desert. Omsun sken and Stengrodornas parad are quirky at first but get a bit annoying after several listens. The rest of the tracks are OK but nothing special, just when you feel they might be getting good they fall back and recycle a generic riff or tail off into nothingness. "Nothing new under the sun?" remarked Elektra's president during a meeting with the band members in 1976. Amused at that statement while in the midst of their creative and performing peak, Kaipa used the phrase for the title of their second record. It's not terribly surprising the LP was not imported outside of Scandinavia when released but it is unfortunate, and reason to appreciate the global and timeless reach the internet age has provided. This is grade-A symphonic rock, at times musically outdoing acts like Triumvirat in its quest for Prog sideshow greatness on the Continent and making better-known ones as Nektar seem amateurish. Kaipa were young (Stolt looking as cherubic as ever), the new instruments and devices were factory fresh, they didn't care much about money, and fame seemed to be a silly byproduct. Bergman, Eriksson, Lundin and Stolt worked hard on continuously refining their material and arrangements even when times were hard. They didn't consider themselves virtuosos and, much like Pink Floyd, would prepare carefully schemed music that could be recorded in pieces, and this is where their strength laid. Plus the Musea reissue has some sweet extras. The obligatory cosmic cloud slowly opens 'Skenet Bedrar', a majestic 21-minute enormity spanning five movements of gentle heraldings, delightful kidplay with Hans Lundin's faux kinderclavier, and some really fine development that takes its time. If you can ignore the man occasionally yelling in Swedish and a brief appearance of God, this is a real accomplishment of symphonic rock 'n roll. Magisterial 'Korstag' and equally stately 'Dagens Port' hint at early Genesis followed by the strange amalgams of the title cut. Of special interest are four roughly mixed (but remixed and very clean) English versions of tracks sung by Lars Hoflund, a sort of Bon Scott-meets-Peter Gabriel doing a good job interpreting the vocals. Plus a live take of behemoth 'Skenet Bedrar' and little lost treasure 'Fran det ena till det andra' restored from a damaged tape. Excellent in the context of 1970s Scandi-prog, Kaipa could've been a global contender though I hate to think how they might've gone had that happened. Sometimes it's better for the fan when the band never got the exposure they deserved. The title means "nothing new under the sun", but on their sophomore effort Kaipa advanced and evolved their sound appreciably, creating a distinct and original style of mellow, melodic prog which proves that even though their more recent releases have been tailored for retro- prog fans, back in the day they were more than able to push the symphonic genre into wholly new directions. With Roine Stolt's guitar work and Hans Lundin's keys working in perfect concert together, the band craft a true prog masterpiece which, alas, came out at precisely the wrong time to attain international attention. Which is a shame, because this deserves to be in the classic prog canon. 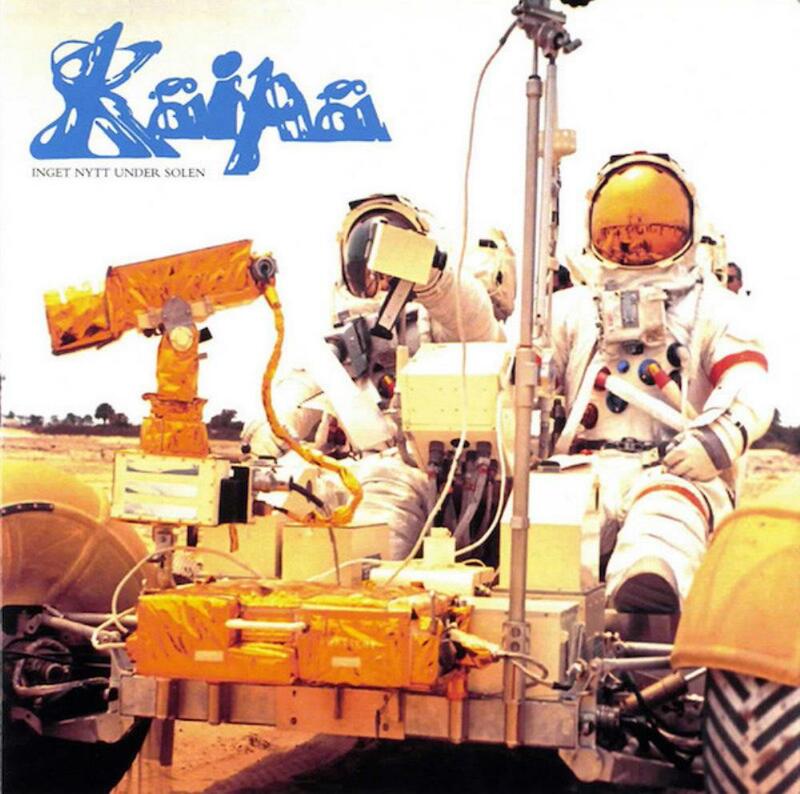 Always on the lookout for more classic seventies prog, I was very interested in hearing what Kaipa sounded like. Their CDs, however, were not cheap, and so I chose this one only because it was the least expensive and easiest to order. This album reminds me of some other prog albums of a few years earlier where a band would write a side-long song and use up much of their good ideas on this one track and then fill up the other side with shorter songs of varying interest. "Meddle", "Tarkus" and a couple of others that come to mind are all subject to praise for the epic number and criticism for the mixed bag of tricks on the other side. The side-long epic track here, "Skenet Bedrar", goes through a few phases and changes and at times the band really cruises in the progressive "rock" field. When they are in full swing, I can't help but feel that they are simultaneously an excellent Swedish version of Yes and a long lost older incarnation of the Flower Kings (a young Roine Stolt contributed to the composing and plays guitar). The lyrics are all in Swedish with Ingemar Bergman and Hans Lundin providing the vocals. I don't know which one sings what, but the first vocalist sings in a register similar to that of Jon Anderson but seems to require more force to get the sounds out. The second vocalist sings a little lower but almost seems to shout his head off and on occasion he strays from the note. Though this adds a rock feeling of energy and power, I also feel it shows that he hasn't yet developed his talent as a singer. Vocals aside, most of the music is composed and performed as good as any classic Yes material. For my taste, there are still a couple of parts in the song that I don't really enjoy and I cannot say this song is worthy of ranking next to classics like "Close to the Edge" and "The Revealing Science of God". I bought this album a year ago and didn't listen to it much then; however, it recently has attracted my attention and I've been listening to this side-long track a few times more as well as the rest of the album. Side two is composed of shorter pieces including two instrumentals, one of which, "Korstag", is rather good and the very short "Stengrodornas Parad" being slightly comical and sounding like one of those short compositions that fill the gaps between the good music of a Flower Kings album. In a way it sounds like an idea that was either shortened due to time constraints on the album or the idea didn't go or fit in anywhere. A third track, "Omson Sken" begins which a short lyric and then changes into an instrumental passage that sounds like the music in a voice-less Scandinavian children's animation. In an interview with the lead member (I've forgotten who that is) I read that Swedish folk songs were an influence in their compositions, so that might explain this part of the song. The title track is perhaps the best of the vocal tracks on side two, sounding like a more traditional song in structure and having more of the Yes style of music, even including a good chunky bass sound. The reissue I bought is like a mini-record album that opens up with all the original text (in Swedish) and photos. A second bonus disc includes a re-mix of some of the tracks sung in English and some live performances of songs from this album and others. I thought I might like the English versions a little better but actually I don't. The original Swedish recordings have a better bass sound and the style of the vocals sound really different as the singers adjusted their approach to suit the language and audience. The live tracks are interesting for the music but the sound quality is not top notch and I find it a bit of a chore to get through listening to all the live songs. I've had this CD for a year as I said and though I like it enough to consider buying at least one more 70's Kaipa album, the high price of imports and the songs and music that I didn't warm to have kept me from making that follow-up purchase. For prog effort I would give this four stars but for my own personal taste I give it three. Post a review of KAIPA "Inget Nytt Under Solen"